LifePoint Health is officially merged with RCCH HealthCare Partners, the companies announced Friday. Affiliates of private equity firm Apollo Global Management, which owns RCCH, are purchasing LifePoint, a Brentwood, Tenn.-based rural hospital operator. They're paying LifePoint shareholders $65 per share in cash, representing a premium of about 36% to LifePoint's closing share price on July 20, the last trading day prior to the merger's announcement. As a result of the deal's closure, four of LifePoint's top executives will receive a combined $67.5 million in stock awards—between $5.7 million and $41.3 million each. LifePoint's common stock will be delisted from Nasdaq. David Dill, who is taking over as LifePoint's new CEO, said in a news release that the merger marks a historic moment for LifePoint and RCCH. "We are officially one organization dedicated to providing high quality, community-based healthcare, and I am energized by the opportunities we have ahead of us to serve non-urban communities across the country," said Dill, LifePoint's chief operating officer prior to the merger. "Our collective teams—now united as the LifePoint Health team—share a dedication to delivering compassionate, quality care, and have a deep bench of expertise in helping healthcare providers in non-urban areas succeed." LifePoint will remain headquartered in Brentwood. Its new executive team also includes John Bumpus, executive vice president of administration; Michael Coggin, executive vice president and chief financial officer; Victor Giovanetti, executive vice president of hospital operations; Rob Jay, executive vice president of integrated operations; and Jennifer Peters, executive vice president and general counsel. Former LifePoint CEO Bill Carpenter is getting $140 million as a result of the closure based on his 2.2 million shares of common LifePoint stock. He and former RCCH HealthCare Partners CEO Marty Rash will remain engaged in the organization as members of LifePoint's board of directors, according the release. Carpenter said in the release he is incredibly confident in the organization's future under Dill's leadership. "Ultimately, it is the care and services that our hospitals and health systems are providing that are most important, and I know the combined team will continue our legacy of supporting our employees and caregivers so that we are Making Communities Healthier for decades to come," he said. Barclays, Citigroup, RBC Capital Markets, Credit Suisse, Deutsche Bank Securities and UBS Investment Bank provided financing for the deal. The deal's closure also triggers certain payouts contained in a generous golden parachutes proposal for four top LifePoint executives, which LifePoint's board stuck with despite overwhelming opposition from shareholders and two prominent proxy advisory firms. 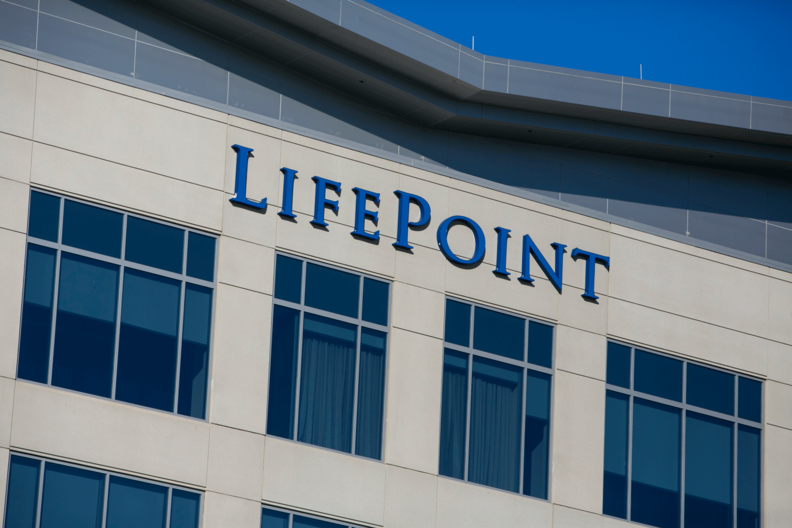 The seven directors of the previous LifePoint board will receive a combined $11.3 million for shares they own based on their roughly 173,000 shares of common stock. They also own varying amounts of restricted stock that may translate into cash.